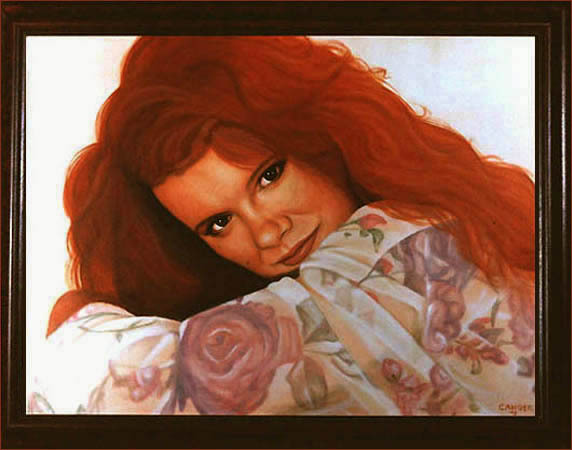 My second portrait of Suzanne was done a few years after the first, while we were roommates. Like the first, the only detail is painted in the face. For her printed blouse, I painted the flowers on and wiped them off, leaving only the stain remaining.